WitchHunt is a Spell Alert addon. It will warn you when someone is casting a spell or gains an ability. 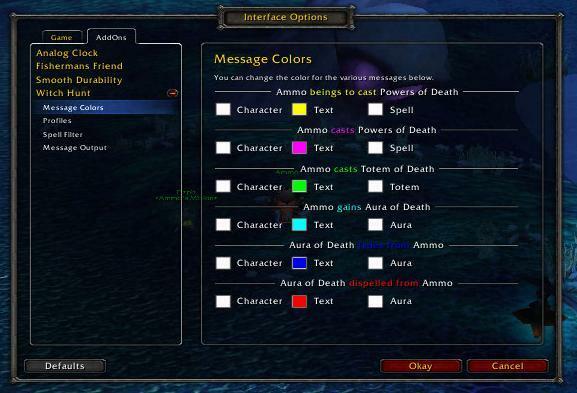 WitchHunt has gained several new features in 2.4 including filtering options on a per spell/ability basis and coloring options for the messages. I wrote a patch to make it work with 5.2. Plus I added a feature that allows the user to toggle tis off in BGs and arenas. I usually use this addon to alert me when the opposing faction is nearby in the world, so being able to have it off in bgs and arenas makes sense to me.